Chiropractors are doctors of the spine and nervous system. Chiropractic care is a way of unleashing the potential of the nervous system while reducing pain and dysfunction. Due to physical, chemical and mental stressors, human beings are prone to spinal misalignment. When spinal misalignment is present, nerves become compressed, and pain is the result, as well as a host of related issues. Since 90% of the nerves in the body control function, then it isn’t surprising that chiropractic care isn’t just about addressing pain. Some of the conditions that we have great success with are back pain, headaches, migraines, poor posture, pregnancy issues, scoliosis and TMJD. 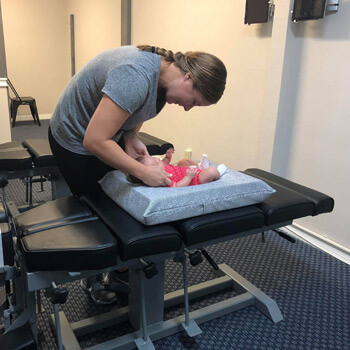 At Atlas Chiropractic Center, we offer our patients a variety of research-based techniques that have proven to be reliable and effective, including both manual and instrument-based approaches. These techniques include Chiropractic BioPhysics® (CBP®Technique), Thompson Drop Table, Webster Technique and specialized treatment for TMJD. Our holistic approach, delivered with passion and enthusiasm, has granted us the opportunity to help many people live better lives. We love our work, we love those we serve, and we love helping people realize a more rewarding and active life. Contact us today; we want to help you!